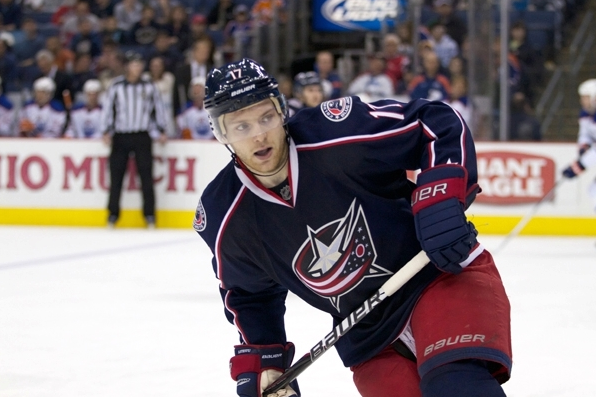 Despite sitting last in the National Hockey League with only 25 wins, Elk Point product and Columbus Blue Jackets forward Mark Letestu can see some light at the end of the tunnel. Playing in the central division among heavyweights St. Louis, Detroit, Nashville and Chicago, the Jackets struggled throughout the year, but have managed a few wins here and there, like last week against the Red Wings. Read the full story at the St. Paul Journal. Posted in Features, Interviews and tagged 2012, Columbus Blue Jackets, Elk Point, Interview, Mark Letestu, St. Paul Journal. Bookmark the permalink.